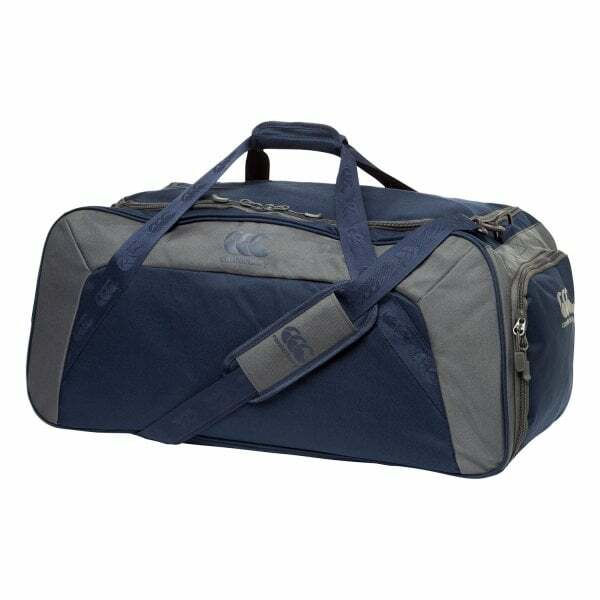 Built to last, Canterbury’s Medium Holdall will hold all you’ve got to carry and do it with comfort and style as well. It features super tough Ripstop 600 D anti ripping and tearing technology, a nylon waterproof inner and Canterbury’s own patented Vaposhield water repellent technology, designed to keep all your valuables in and the elements outside where they belong. The shoulder straps are also fully adjustable to suit your size and frame, and branded with the iconic CCC logo, this stylish piece of training kit is guaranteed to make you the envy of the locker room.